In any business, cash is your lifeblood. It flows through your business, and when it doesn’t flow, your business dies – just like your body. Growing your sales is the best way to get ahead of problems in your business. Without the capital you get from sales, you have no way of fixing problems as they arise, or growing when opportunity knocks. So how do you inject capital into your eCommerce business? There are two time-honored ways of doing that, and both revolve around your audience. One is to grow your audience. Selling to the same percentage of your audience, while continuing to grow it, means that, ultimately, more people end up buying from you. The other option is maximizing conversions, or growing the percentage of your audience that becomes a customer. Facebook is ideal for both. Facebook provides a huge potential audience, and through its different advertising options, you can build your sales, and strengthen your eCommerce business. With some strategy in hand, you can confidently go forward and grow your sales pipeline. Facebook’s ad campaigns enable you to customize your targeting for different objectives. Do you need more engagement? Awareness? Views? Lead generation? Conversions? Decide up front what you’re going for. Many businesses, especially smaller ones, don’t actually know what they want their campaign to do – or they try to go after too many targets at once, diluting their message and spending PPC money that they really don’t need to. Don’t be one of them. Choose up front, know exactly what you’re going for, then tailor your campaign to that, instead of being scattershot about it. Facebook Marketplace is Mark Zuckerberg’s Craigslist competitor, but unlike its bare-bones cousin, Marketplace does enable businesses to advertise. The unique thing about Marketplace – much like Google’s long-tail PPC – is that you’re dealing with an audience that has very high intent. When used well, Facebook Marketplace ads can drive traffic to your business which convert to cash immediately. 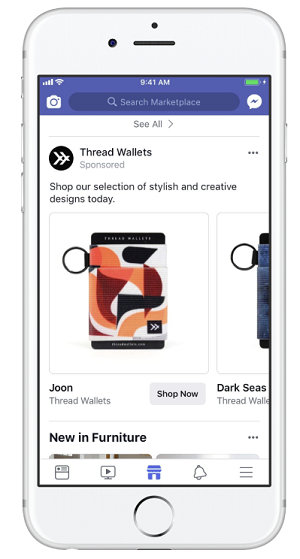 In a recent case study published by Facebook, Thread Wallets, an up-and-coming accessory wallet company, managed to decrease their costs by 16%, increase their reach, and use their ad spend 41% more efficiently, year over year. This is a realistic outcome with Facebook Marketplace – your business can do the same. Facebook’s business Pages are key drivers of traffic for small and large businesses alike, and using them effectively can be helpful for you when you’re trying to drive sales. One of the biggest things consumers are looking for on your Page is special offers – in fact, some 39% of all Facebook users report that they follow Facebook Pages looking for special offers. Use promotions, codes and giveaways to get people interested. You only have a few seconds to catch their attention. Use it. You can even run an extended ad campaign to promote your special offers – it’s a great way to drive both long-term engagement and bring your audience a little further down the funnel. Facebook has always had the capability to exclude ads based on their category (especially for mature themes, gambling, and other gated content), but they have even more capability than that. It takes some work, but if you really want to fine-tune who sees your ads, you can create a block list based on Facebook’s back-end data. If you’re worried about your ads showing up alongside content that might make your audience think negatively about your business, blocking those possibilities will ensure that your ad dollars are being spent effectively, while also safeguarding your reputation. Note: You can also utilize Facebook’s newly introduced ‘Inventory Filter’ to ensure your ads don’t show up alongside certain types of content. It’s possible to see up to a 1,000% change in your advertising cost if you serve ads to the wrong audience. How well do you know your customer base? 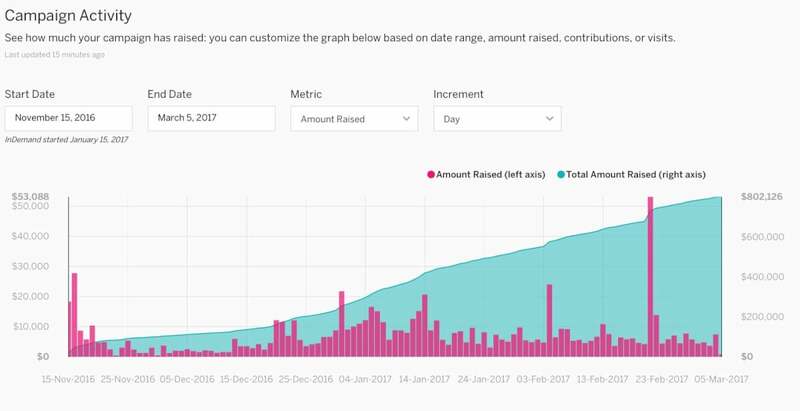 Are you tracking user statistics internally, or maybe using the Facebook tracking pixel as many of their best case studies do? That data is gold. Age, location, gender, interests – all of these elements play into who you want to target. Know who your customer is first, target them second. Don’t throw darts blindfolded – or you’re literally throwing money away. Lookalike audiences are one of the best tools you can use to grow your audience. Don’t believe me? Ask BionicGym, whose testing of lookalike audiences proved far more effective than interest-based targeting alone. Their case study shows the value of using the lookalike audience tool (as well as all of Facebook’s other resources) to build an audience that’s more likely to want to hear what you have to say. Some of these strategies are pretty basic, but that said, let me ask you this – if you want to get healthy, what do you do? Everyone knows you eat right and exercise. You want to get better at something? Practice it deliberately. Everyone knows this, but not everyone does it. The same thing applies to Facebook advertising – you might know what to do, you might think some of this advice is somewhat basic. But are you doing it? Don’t let cash flow be the thing that brings down your eCommerce business, build it healthy and strong with Facebook advertising. Use these strategies and you’ll be well on your way to having the capital you need for robust sales, both now and in future.